It's the 1st Friday of January if you can believe that! It's time for a brand new challenge as well. But first we have the gift certificate winner and our top 3 projects to announce from Friday Challenge 46 - "Color Challenge!". They win a Top 3 badge to display on their blog! within 7 days for your prize or Top 3 Badge. Happy 2015 everyone, it's Donna here to host the first challenge of the year for you! This year is going to be exciting at Quick Quotes, with a new Design Team, with a mix of past members and new ones! We are sure to have tons of inspiration and ideas for you this year. 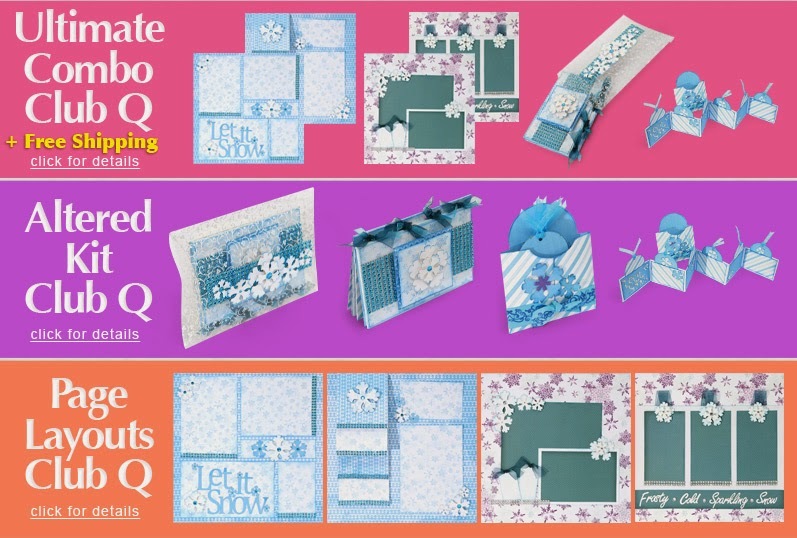 This double page layout I would like to show features the January Club Q Kits. 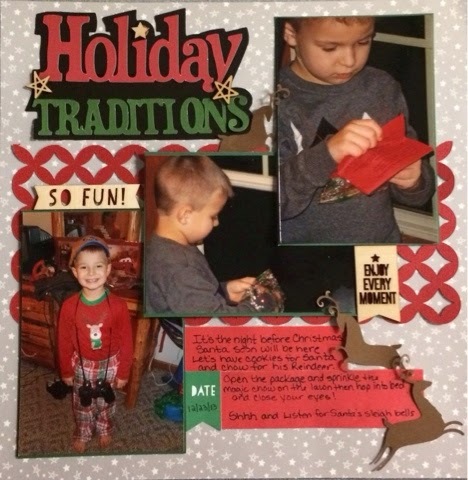 I mixed and matched the paper and embellishments to come up with this layout. On the first page, at first my title was blending in too much with the snowflake wreath. So, I added some Radiant Rain to it make it shine and darken it up a bit. I felt it still needed a little more emphasis, so I found the purple sheet from one of the page layout kits for the Club Q and added that to it. Here is the second page, I added the tags for journaling and all the snowflakes were altered by adding glitter and bling. All the frames for the photos were also included in the kit! 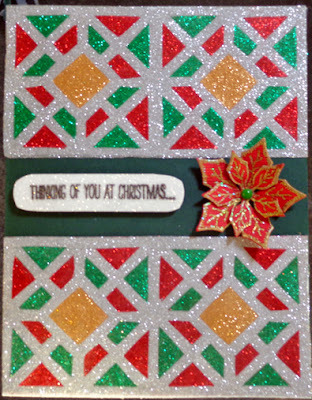 This was fun to do... instead of leaving the snowflake from the kit as it was, I took the bling and added it to by simply gluing it to the background. Then cutting around the snowflake to maintain the shape. Believe it or not the bling cuts fairly easy! Then just take the blue bling from the kit and pop it in the center. Here is my example for the challenge below! January's Club Q kit options! Create a project with an Embellished Tag. Example: Take a tag and add something to it; i.e. bling to chipboard, a brad to a flower, etc. 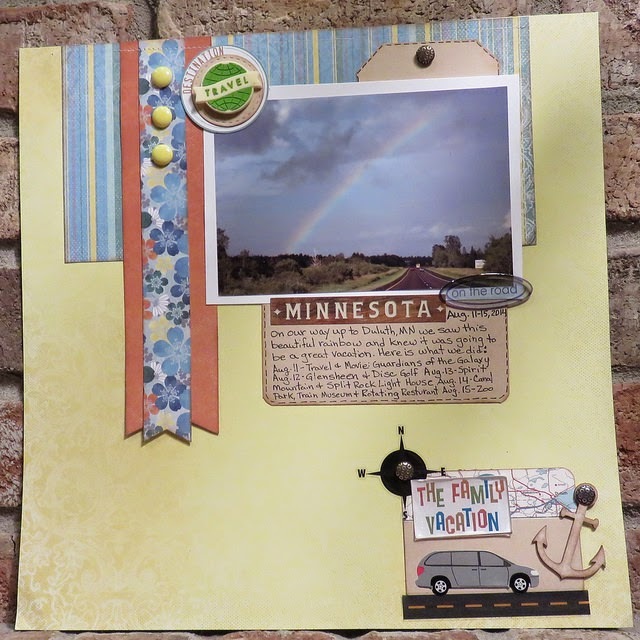 You can create any kind of project, a card, page or altered project, just have fun with it! Of course we would LOVE to see Quick Quotes products used on your project, but it's not a requirement to play. You may use any products to participate in the challenge. No back posting allowed, projects must be newly created for this challenge. One (1) entry per person, per challenge please. We can't wait to see what you create this month! Challenge begins today and is open until 11:59 pm PST on 1/25. The 'Top 3,' as chosen by our Design Team, will have bragging rights with a 'Top 3 Fave' button to display on their own blogs. Everyone who participates will be entered to win the prize for this challenge. Prize = $25 gift certificate* to shop in The Quick Quotes Online Store! Use the InLinkz button at the bottom of this post to link up your project! Don't have a blog? You can also link to a photo in a gallery like Photobucket or scrapbook.com. InLinkz will ask you for the direct link to your project, not just your blog address. Click on your projects specific url and copy/paste it to link up. (*QQ Prize Disclaimer: Prize contest open to US residents only. If you live outside the US and want to play, you would be responsible for any shipping costs for prizes won. 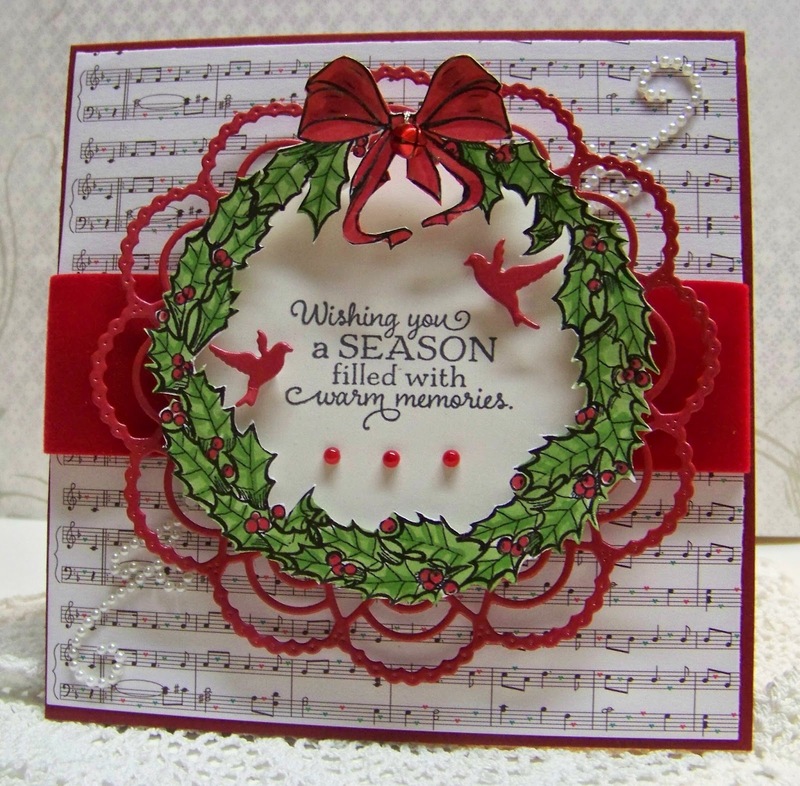 Thank you so much for selecting my card in your Top 3..I feel so honored and appreciate it very much! !